Annual Membership in 2015 is $25. This entitles you to be a member of ArtsCape and be included in all its activities, rights to hire of the venue, vital arts activity insurance, our regular newsletter. 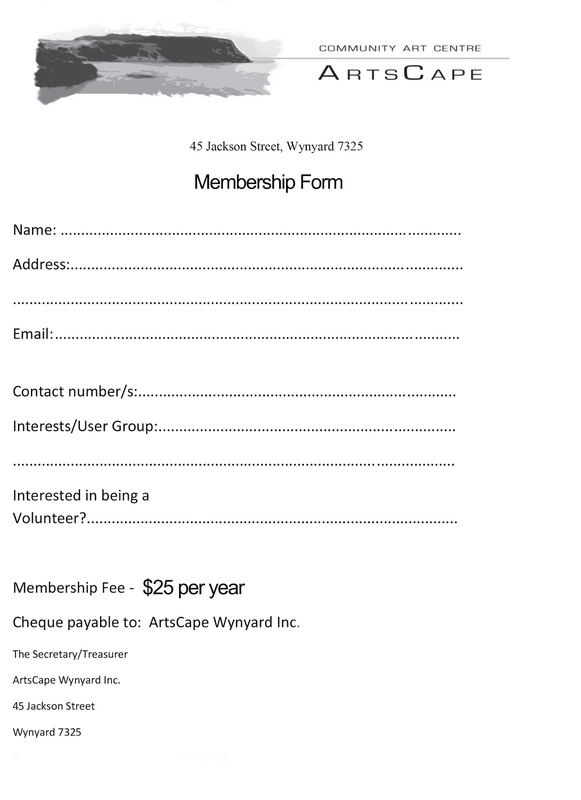 To become a member of ArtsCape and support your local arts please fill in the above form and email to artscapewynyard@gmail.com or you may request more information and a copy of the form to be sent to you.